Grande Synthe "jungle", camp for migrants in Grande Synthe, Nord pas de Calais region, France. 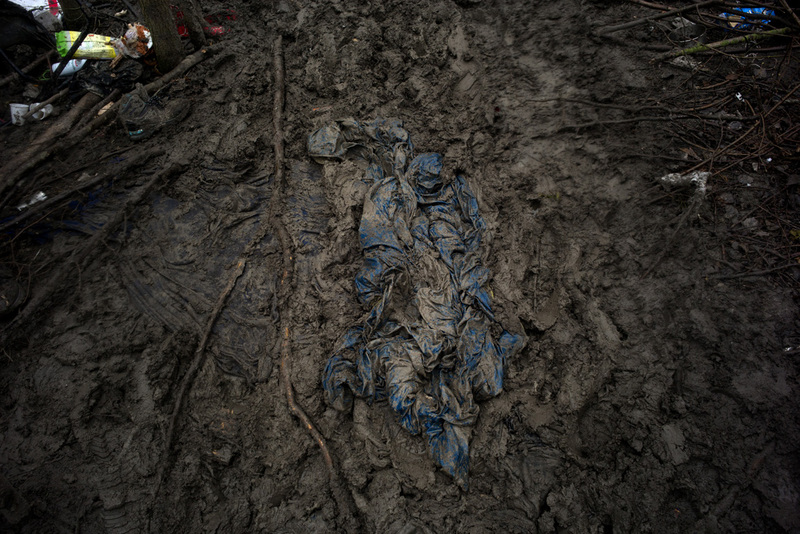 \n\nMigrants do put clothes, sleeping bags or sheets on the muddy ground to achieve to walk on it. The camp has been established in a wood where the ground turns into a heavy and deep mud with rain or snow.